A Special Offer: Lifetime Access to Power-Packed Golf books by Golf’s Greatest Legends to Solve Every Golf Problem You Have…and Some You Don’t Even Know About! 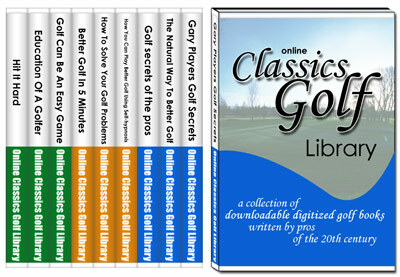 “Online Classics” Golf eBook Club. These are classics that are now out of print and in the public domain that will be posted for you to download and not available anywhere else! They are real books that have been scanned and digitized for you. Actual covers below. Currently at 11 books and growing! Check out what you get right now and more will be posted for you in the future with no further charge! 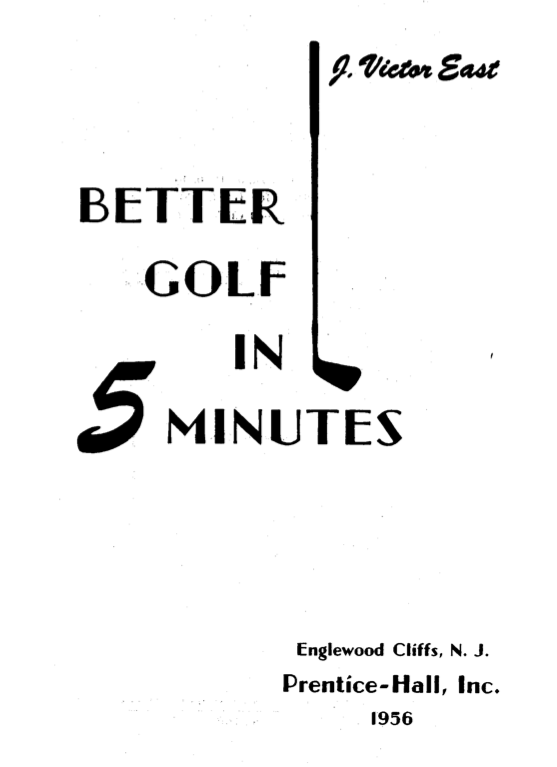 Chapters on: Slicing, Hooking, Pushing, Pulling, Loss of Distance, Topping, Shanking, Sclaffing, Smothering, Grass Cutters, Fouling up around the greens, In the rough, In the sand, On the green, In the mind, on the scorecard. Illustrations of all problems and fixes. Doug Ford has a golf gift that appears only occasionally in several generations—incredible accuracy from just off the green. Not since Johnny Revolta, 25 years ago, has there been a player who can “get down in two” as often from within 100 yards of the hole. This book gives you Doug’s secrets. The intimate confessions of a hooked slicer. This book is a hilarious story and look at golf from the perspective of your average golfer who gets hooked on the game at 15. There’s never a dull moment and I’ll bet you laugh out loud like I did when I read it. AND INCREASING WITH EVERY NEW BOOK POSTED! !